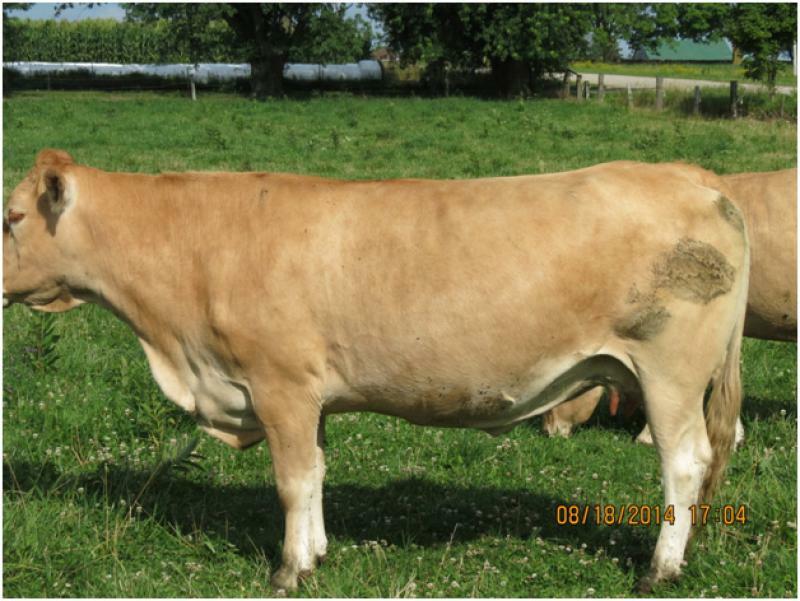 9W is an ET daughter of "Beau Bois Arthur" and "Sprucelane 08W". As an embryo that sold at our 2000 Production Sale, she found her way into a recipient where the embryo divided into 2. It is rare that an embryo would divide following thawing, but it did provide a Wynn, Winnie situation. We leased Arthur for 2 days to produce this animal, so we are happy to own Winn!